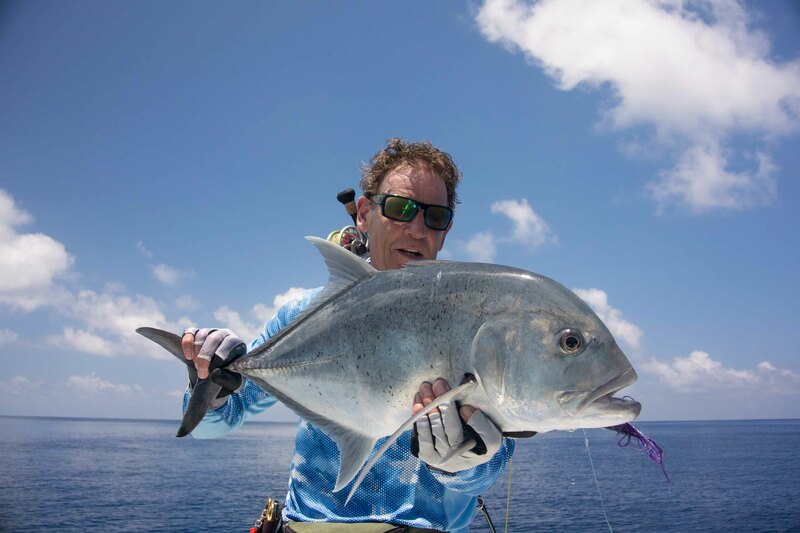 After a long stretch of inclement weather at Alphonse Atoll, the clouds parted and the winds seized giving way to absolute glassy and downright hot conditions. 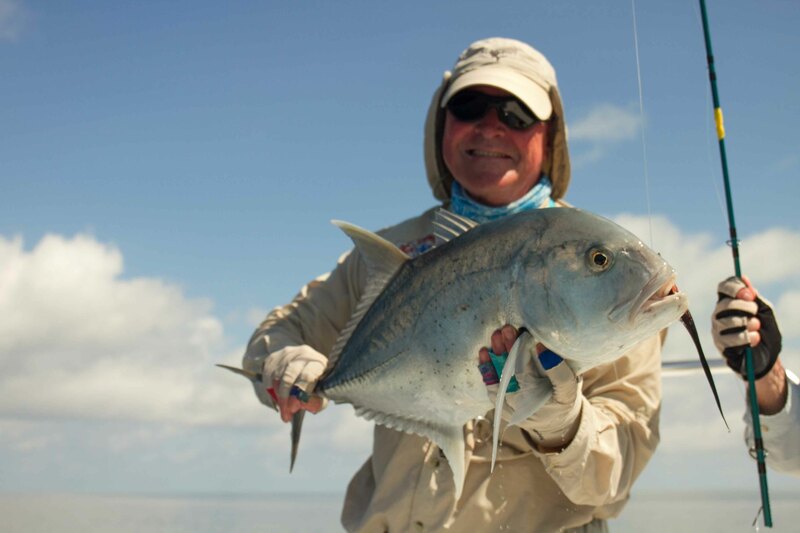 This week tides started with the tapering of neap to spring with a midday low enabling anglers to fish equal drop and push. 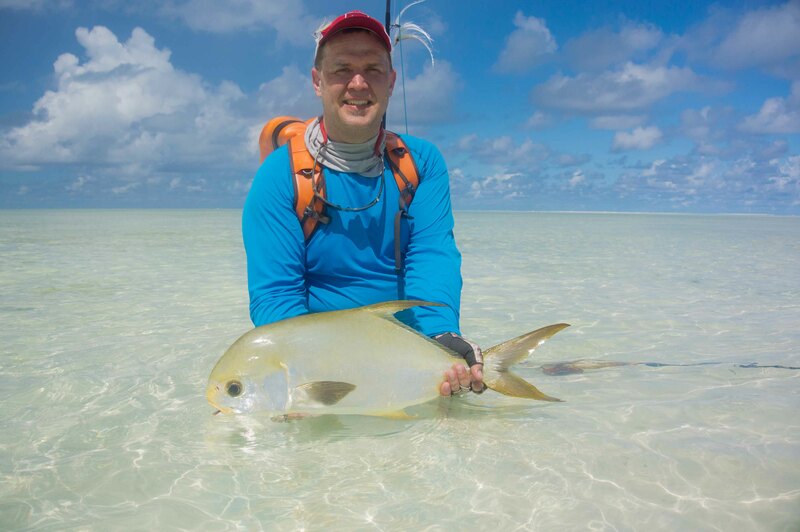 The abundance of bait both inside and out made for great GT fishing and more fish were seen in the lagoon than in recent weeks. 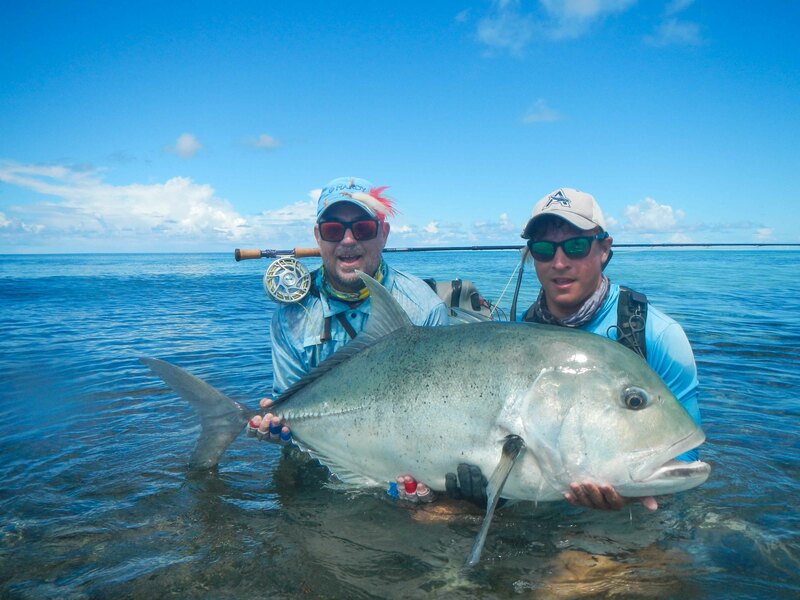 Thirteen Giant Trevally were landed including the season’s best fish, a true giant of 123cm tamed by Marko Kallay on foot in the surf between Fallujah and St. Joe’s. 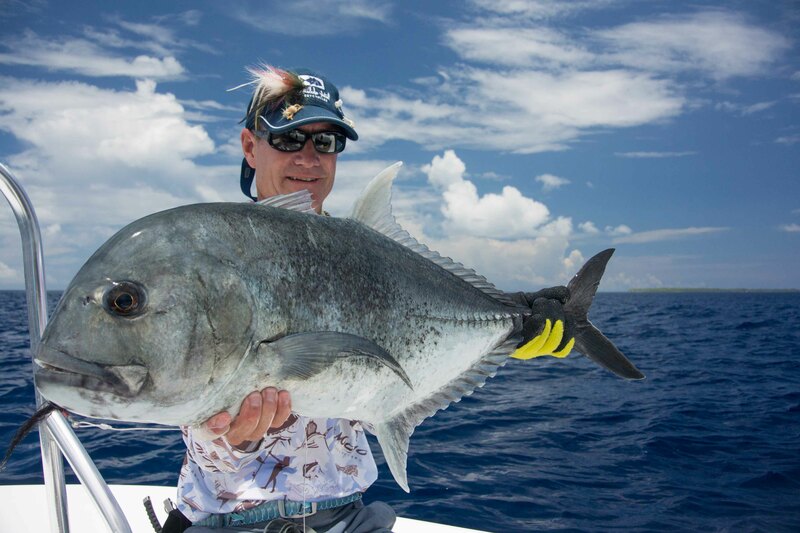 This beast was miraculously landed after a reel failure. 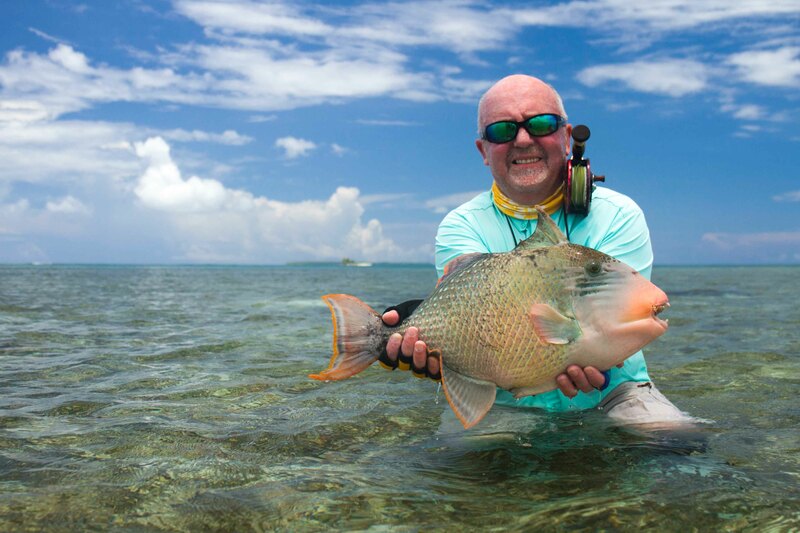 Congratulations to Marko for a fish of a lifetime. 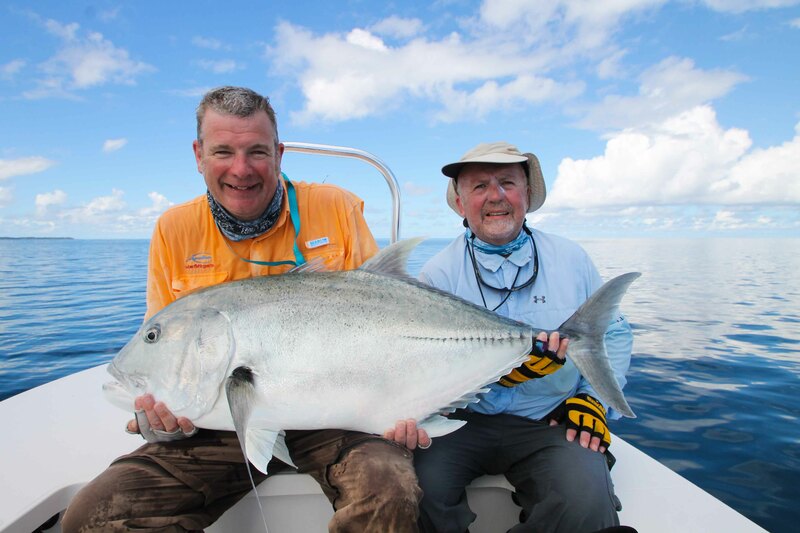 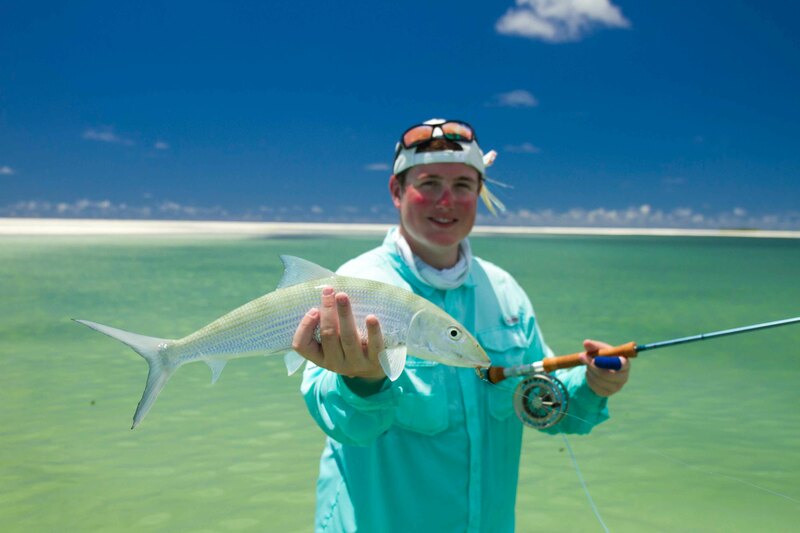 Donald Stewart also came tight to a 111cm fish while popping a fly on the outside west of Bijoutier. 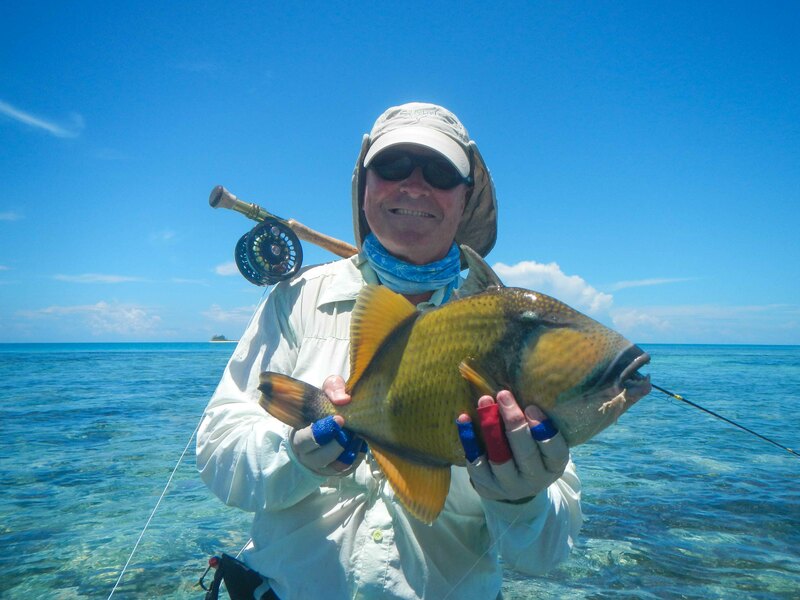 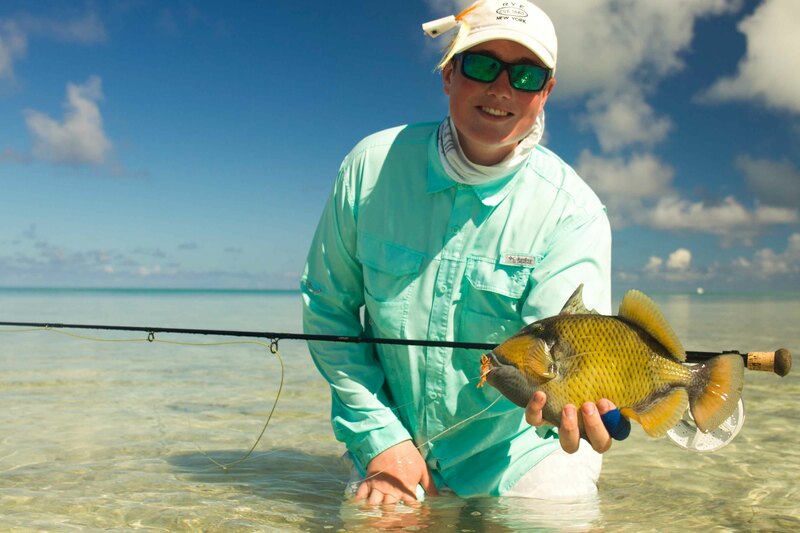 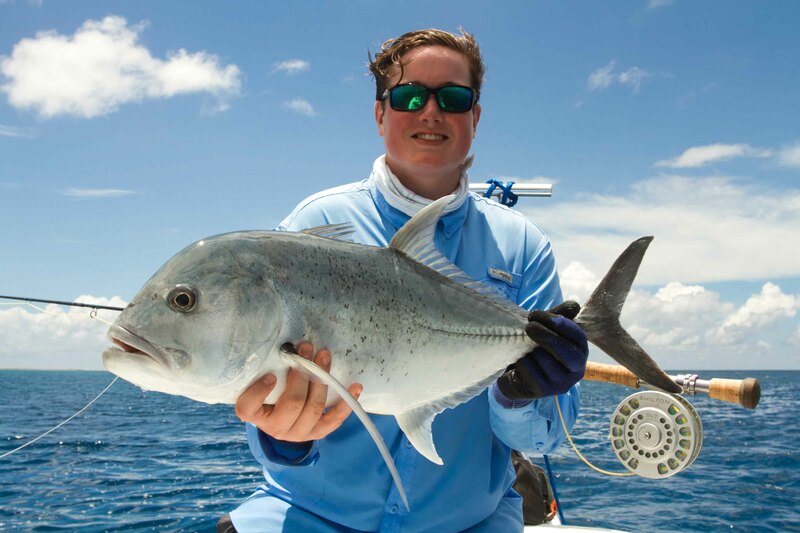 The finger flats were very productive yielding very cooperative mustache triggerfish with five being landed, two of which were caught by Cyril Bodnar. 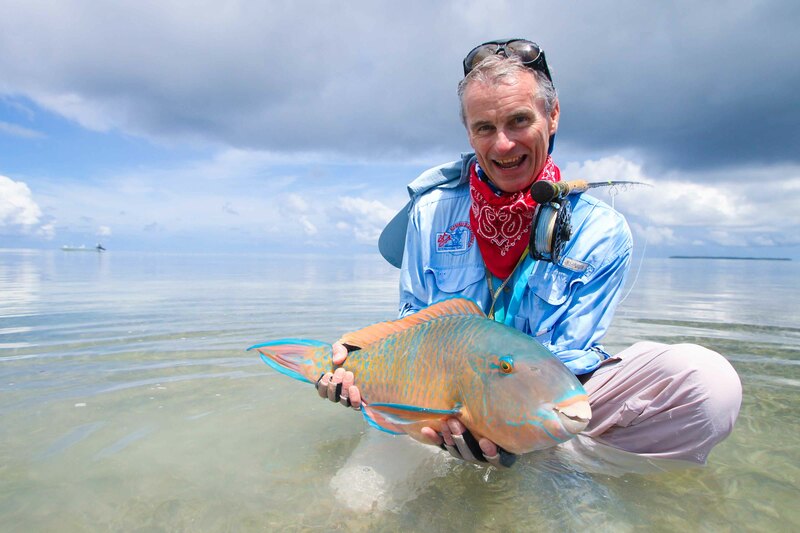 The most remarkable oddity of the week goes to Alistair Crawford who landed a plus size Emerald parrotfish on La Passe finger after a bullish battle the fish was finally dislodged from a hole. 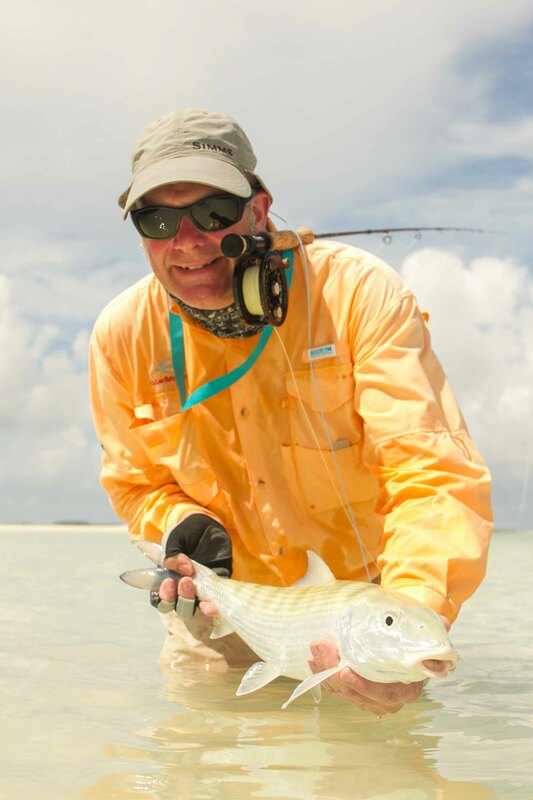 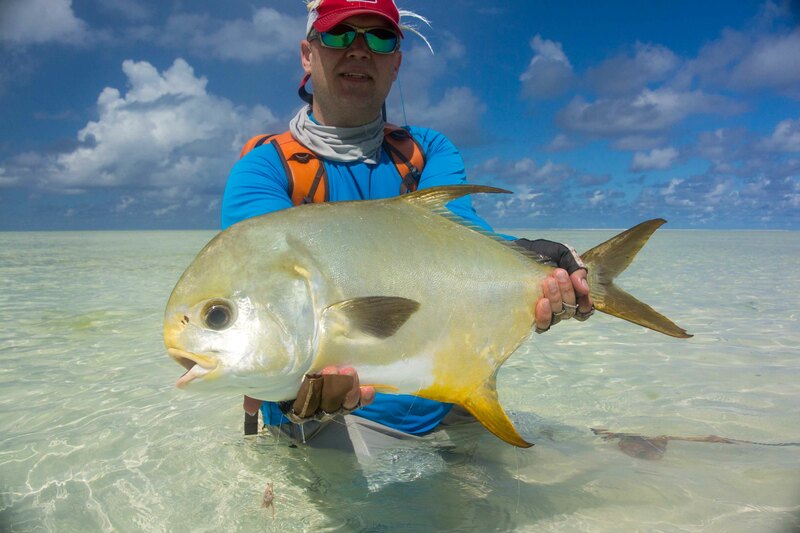 On the white sands of Guantanamo, one angler Matthias Kantorek managed to ‘tocuh gold’ by holding on to a 62cm Indo-Pacific permit. 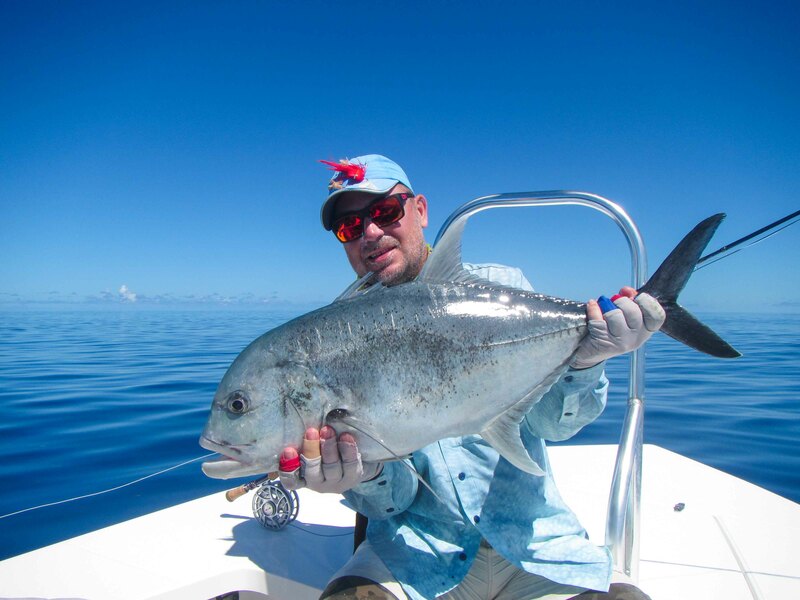 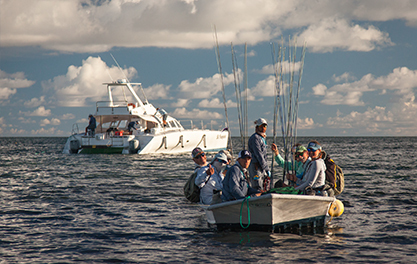 The blue water fishing remained consistent and exciting as Richard Galling and Dave Hall doubled up on Sailfish to conclude their week.